Michael Sarver – "Ain't Going Down 'till the Sun Goes Up". Fun song, didn’t show his range but I thought he did a good job of working the stage. Last week's performance was better. Allison Iraheta – "Blame it on your Heart" Not her genre of music. She made it her own. Enough to make it to the next week. Lil Rounds – "Independence Day" Good vocals but not her strong spot. She needs to be herself and use her gifts instead of letting the style of song dictate. Adam Lambert – "Ring of Fire". Weird but good (I think). His range blows me away. This guy is singing alto notes! But his interpretation may not connect to everyone. But certainly enough to advance. Scott MacIntyre – "Wild Angels" Bad song choice. Scott's vocals are not up to par with his counterparts in this competition. Vocally, I would rank his last. Now vocals and viewer appeal are two different things. Does he have enough appeal to advance? Not sure. We shall see. Alexis Grace – "Joleen". Not a great song choice. Tempo was way too fast for her to show off her abilities. There were some pitch issues. Always keep the "down & dirty" in. That's what got her in the Top 11. Danny Gokey – "Jesus Take the Wheel" – solid song and performance. Loose the jacket. I do NOT agree with one of the judges comments about jumping to the "power notes". First off, the song tells a story and you have to have ebb & flow. Anoop Desai – "You Were Always on my Mind" - solid performance. He comes across much better on ballads. Megan Joy – "Walking After Midnight" - Can she only sing cute songs? Megan uses cute songs as a crutch, it seems. Having the flu this week and that being communicated on the show may be the only thing that saves her this week. Matt Giraud - "So Small" Good song and vocals. At the piano was good. Last note a bit off but good overall. I started watching this years American Idol at the Top 12. Now we're down to the Top 4. I must say that last week I thought Jason Castro would be gone. Brooke White would have been right behind him. Hopefully we will say so- long to Castro this week. It's embarrassing for everyone. Even Jason is ready to head back to Texas. When you're in the Top Four and forgetting lyrics, something is terribly wrong. I feel bad for Castro. He is totally outclassed. On a positive note, I sense that both David Cook and David Archuleta will be in the final show. After tonight, I believe Archuleta could win it all. His performances of "Stand By Me" and "Love Me Tender" were outstanding. 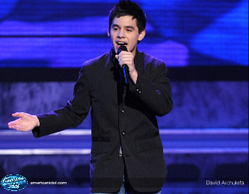 No matter the end result of AI, Archuleta will have the most successful career because of his talent and his demeanor. He's grounded and has a great attitude. I haven't weighed in on American Idol this season. So much happened tonight that I had to blog. Before I begin, what is the deal with Paula tonight? Can she keep with with how many songs they've sung? I mean, my wife thought I had missed part of the show on the DVR. Focus. Focus. OK... here's the run-down. We're in the home stretch with 5 remaining singers in this SINGING talent. Here is my take. Creativity - I love his arrangement choices to make the song his own. His melody decisions and ad-libs are well done. Risk-Taker - Selection of music shows willingness to take a chance. Versatility - He has shown much variety and versatility in using contrasting styles and instrumentations. Although his strengths lie in Rock (ie Music of the Night), he can sing anything. On a scale of 1 to 10 with 10 being the best, I rank David at a 9. 2. David Archuleta should be a close number 2. In fact, the only think keeping him from winning the whole thing is his inexperience. 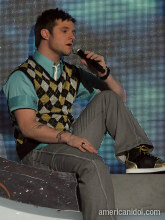 This guy is by far the most talented vocally. His vocals are awesome. He will get a recording contract. I rank Archuleta a 8.5. *Carly Smithson was voted out in week six. This was a huge mistake! I believe that the teenagers won the phone voting battle in week six. Her version of "Jesus Christ, Superstar" was off the charts. She has been strong throughout. I guess her tattoos and foreign accent didn't register well in the teenage popularity contest. I see Cook, Archuleta, and Carly solidly at the top 3. All others fall way behind. While she may be off the show, she WILL get a record deal and succeed. I rank her much higher than the remaining singers at a 8. 3. Syesha Mercado's talent should take her to the third position (unless the teenage popularity vote prevails). She has come on stronger in the last 3 weeks. Since Andrew Lloyd Webber, she has come out of her shell and really competed. I predict she will have some success in musical theatre. I rank her at a 6.5. The remaining Top 5 candidates are only around because of the TPV factor (teenage popular vote). They are NOT better than the following people who have already been voted off: Michael Johns, Chikezie, Kristy Lee Cook, Ramiele Malubay, Amanda Overmyer, and of course Carly. 4. Brooke White will leave the show in 4th place. She may even outlast Syesha because of the TPV and end up in the top 3. But if you look at strictly vocal talent, she shouldn't even be in the top 10. She is a nice girl and very authentic. She connects well and receives alot of sympathy votes. I'm sure she is the kindest of them all and would probably receive the congeniality award if one were given. But unfortunately, she isn't a Top 10 talent. She has very little stage presence and only feels comfortable hiding behind an instrument. I rank Brooke a 3. 5. Jason Castro is from my neighborhood here in the DFW area. He doesn't belong in the Top 5. He is a One Trick Pony. His best effort came with "Somewhere Over The Rainbow" ala Kaulana Kanekoa/Vince Esquire style. That song was in Castro's sweet spot. But that spot is limited. Unless he can sit down and do the layed-back style, Castro falls flat on his face. The ONLY reason he is where he is now is the TPV. And remember that the TPV is 90 percent female (in my estimation). To those teenage girls, he's cute. Just not talented. It seems for the last two weeks he hasn't even tried. It's like he sees the writing on the walls and has understood that more talented people have passed him by. If he even belonged in the top 12 he should have gone out the first week. I mean can you even compare Jason's voice to Carly or Michael Johns, or even Chikezie??? Not even in the same neighborhood. A year after this season, he'll be lucky to get a gig at Joe's Crab Shack in Plano. I rank Jason a 2. And what's the deal with the mosh pit in front. Can anyone stop the waving arms? Why do they have to wave the arms??? It's like some kind of mindless, smelly human metronome pit(s). Half the time they aren't even on the beat. The other times artists in rubato moments feel the struggle of keeping time with the waving arms. Someone must stop the waving of the arms!! Overall, this season has been great! Alot of talent. It was great to see Louisiana Gov. Bobby Jindal on The Tonight Show with Jay Leno. Jindal has already done an awesome job in Louisiana. He is the nation's youngest governor at the age of 36...my wife's age. There is a lot of hype online and in the media about Jindal. Political pundits have already labeled him the future of the GOP and the next Ronald Reagan. 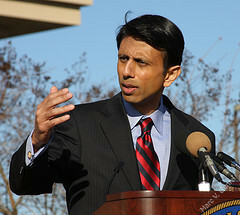 Jindal is the first elected Indian American governor in U.S. history. Tonight's appearance on NBC's Tonight Show comes amidst the growing buzz about Jindal possibly being named the vice presidential candidate on the Republican ticket. One of Jindal's passions is to help make the great state of Louisiana a place to stay and live unlike today's mass exodus. I hope he keeps his commitment to the state and continues to guide the recover and re-development that is happening because of Katrina. I'm already seeing changes that will restore confidence in elected officials. I think Jindal has a great political career ahead of him. Let Louisiana benefit from his leadership before we send him to Washington. My wife is smart. She has a Bachelor's degree in chemistry of all things! She understand concepts like Ohmes Law and loves to chat about DNA strands and gene things. Amazing stuff that I have little knowlege or desire to comprehend. But hand the woman a remote control and she's lost as a goose. We got a new TV from the Best Buy up the road. We're just a few days from Eli's first day in Kindergarten so she's spending some quality time at home before that upcoming milestone. They decide to watch a DVD on the new TV. I've got it all hooked up ready to go. For some reason, she can't get it to work. She can't reach me by phone so what does she do? She calls Best Buy and begins to explain to the Best Buy Geeks about her problem. So they respond. Best Buy tells my wife that this may be complicate and promises to call back with help in 10 minutes. They assemble together a team of Geeks with manuals in hand and call back on a conference call to help Brandi with this dilemma. They tell her that this may be difficult...that they are going to step her through this slowly. "Ok Mrs Chambless, are you ready?" Step 1 Turn Power on .... Brandi does, "No picture yet"
Step 2 Press the Source Button ....Brandi does... and the movie come on. She says... "Oh,ok..it works! Thanks." I don't know. Maybe there is a DNA strand for electronic aptitude. Until we can isolate that gene and administer some gene therapy, thank goodness we have the Best Buy Geeks as a good "source" of remote information. It is the most lop-sided American Idol ever. This is a SINGING competition but it has been made a culture competition. When you compare the vocals, there is NO competition between Jordin Sparks and Blake Lewis. Blake is the teen favorite. I predicted his strong showing based on his unique beat-box talent and teenage female appeal. The simple facts are that he has tuning problems. He is very pitchy on all of his songs-- a flaw that is typically weeded out in early rounds of American Idol. Beat-box is not a new or difficult talent. Can you base a music career on it? I think not. Whether Blake wins or not, I don't think he will be on the radar after a year has passed. 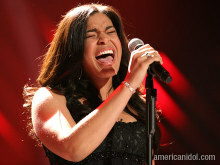 Jordin has a tremendous voice. Great range and perfect pitch. She sings through the song; makes it her own. You believe that she believes what she sings. With Blake, at times, he's just going through the motions. But Jordin can sell the song and you can connect emotionally. No matter the decision tonight, Jordin WILL have a career in music and Blake will not. Why is it so lop-sided? Automatic dailing software. Teens are clever and have figured out how to make their vote count much much larger than a single vote. It's no secret that youth call in more than once. But now there is free downloadable software that allows anyone to automatically dail a number over and over again in the voting process. In one minute, software phone dialers can cast an average of 10 votes. That is 1200 votes for one person in the time alloted for vote casting. One of many variations is called SpeedyVote and is sub-titled "The original American Idol Voting Software Tool." There is only one way to fix the problem. Allow one vote per phone number. Tonight is a big night at AE. The question on everyones mind is can three girls take the top 3 spots. I don't think it's likely but certainly possible. The most marketable is likely to be Blake Lewis because he is unique and can garner the teenage girl support (even if he is'nt the best singer.) Melinda Doolittle has always had my vote but I'm not quite sure she will win it all as long as Jordin Sparks continues to show strong. This week I predict that Lakisha Jones may be out. But, It all depends on how they do tonight. Finally home on a Tuesday night and had a chance to check out the vocalist. Melinda Doolittle is smokin' everyone else. Here are my rankings from tonight's show. Tennessee native Doolittle is still on top. She will win this year's contest.